GB Boxing came second only to host nation Brazil in the Olympic Boxing Test Event in Rio this weekend, with boxers securing three gold medals, two silvers and two bronze. Chantelle Cameron clinched the team’s first gold, following a string of strong performances that saw her beat Venezuelan Mailin Barrera and the host nation’s Taynna Santos Cardoso, before out-boxing experienced French lightweight Estelle Mossely. Joshua Buatsi also enjoyed three consecutive wins, with unanimous decisions over light heavyweight opponents Devanshu Jaiswal of India, German Serge Michel and Peter Mullenberg of the Netherlands. Frazer Clarke earned a unanimous points win over Indian Satish Kumar in the semi-finals, and boxed a tough final against German Erik Pfeiffer to win super heavyweight gold. There were silver medals for Lisa Whiteside and Sam Maxwell, following promising performances by both boxers. Lisa won a split points win over Moroccan Zhora Ez Zahraoui to progress to the semi-finals, where she boxed well to gain a unanimous victory against home boxer Graziele Jesus de Sousa. 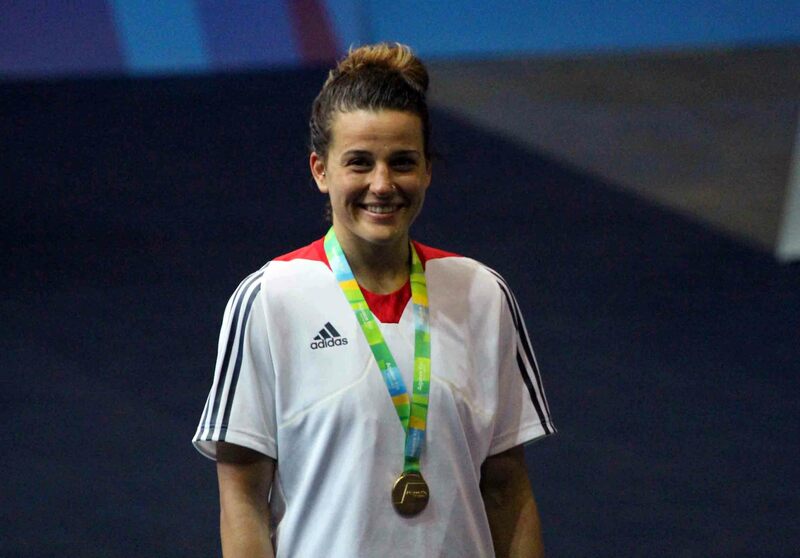 American boxer Virgina Fuchs edged the 51kg final, forcing the GB boxer to settle for silver. Sam Maxwell was back to his best, following a surprise loss in the GB Boxing Championships last month. The Liverpudlian floored Indian opponent Manoj Kumar twice to win the 64kg semi-finals, but was beaten by Brazilian Joedison Teixeria De Jesus in the final. Galal Yafai beat Tomoya Tsuboi of Japan to progress to the semis, and collected a bronze medal following a nip-and-tuck match against Patrick Chaga Valerio Lourenco of Brazil. After Luke McCormack’s American quarter-finals opponent Carlos Balderas withdrew due to illness, the Birtley lightweight took world bronze medallist Robson Conceicao to a split decision in his backyard with an excellent performance that earned him a well deserved bronze.